Guess what? 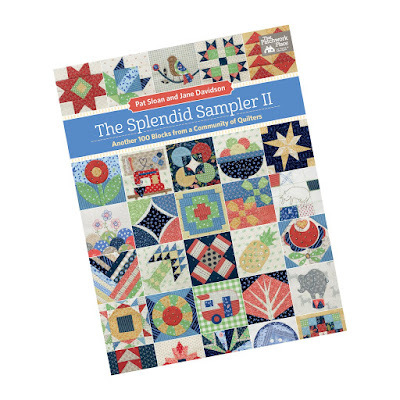 Today is the start of the Splendid Sampler II quilt along! Even though the book is not yet released, we're getting a head start on sewing twenty of the blocks. Yes - 20! 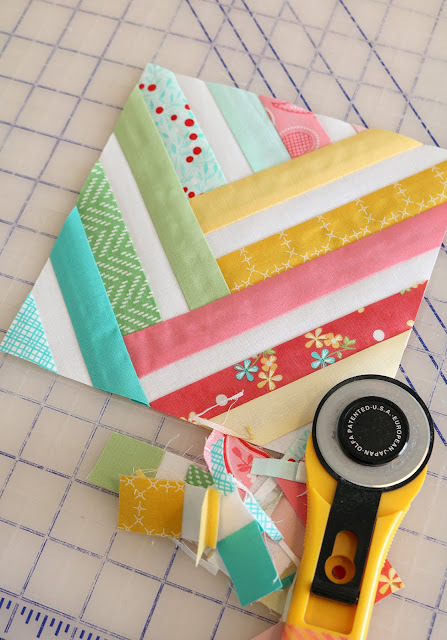 Each week a new (and free) block pattern will be released and I hope you'll be sewing along! This week's block is designed by Alex Veronelli and is called Quilt Market. You can download the free block pattern here....and it's a fun one! 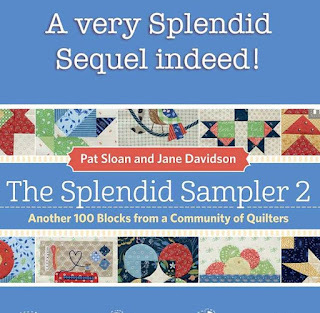 The quilt along will be hosted by Pat Sloan and Jane Davidson - and there's a facebook group too where you can share your blocks, see other's blocks and join in the SSII community. You can still pre-order the book here, which will be ready to ship in October. It sounds so far away, but I know it will be here before we know it. The book will have all 100 quilt block patterns, designed by dozens of designers - including yours truly! I can't share my block yet though! It started as a stack of solids and then I'll be adding in some favorite different prints as I go. Be sure to go here to grab the free block pattern, pre-order the book, and then join the facebook group and I'll be back next week with my version of block #2! 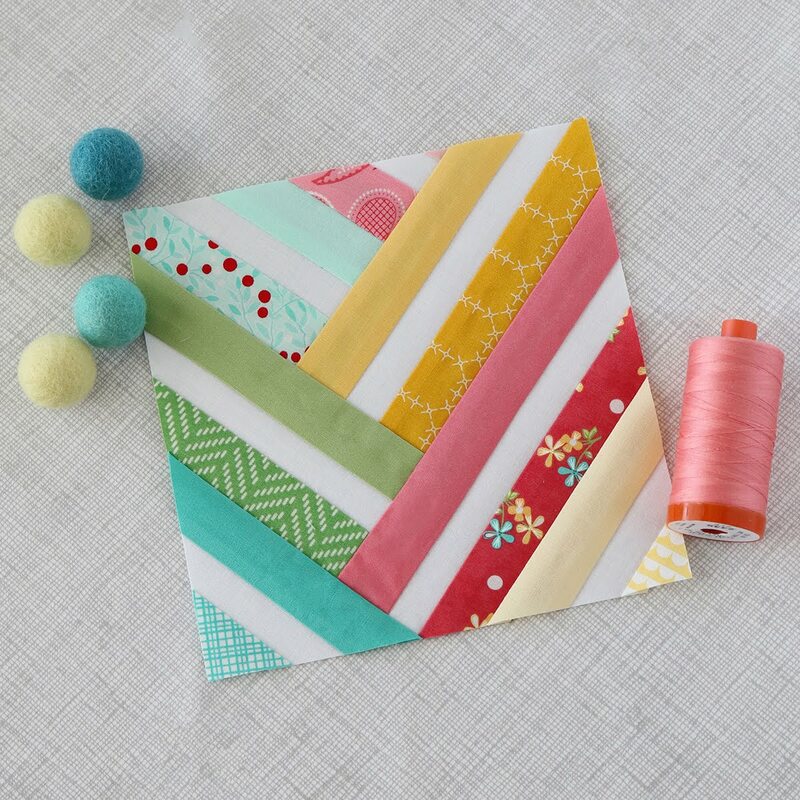 Oh, and stop by the Aurifil blog to read about Alex's block and enter the giveaway! Such a cute quilt block and the fabrics you're using are so sweet. 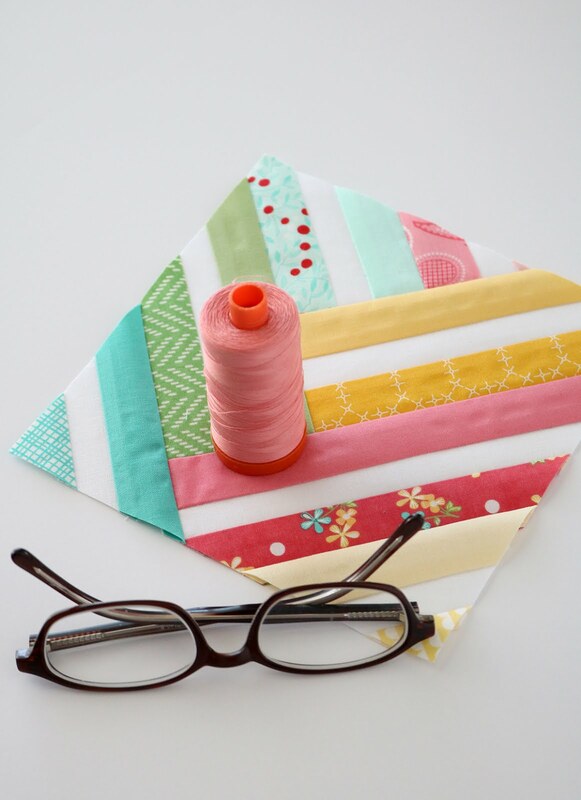 I was just over at the Aurifil blog and loved their blocks too. 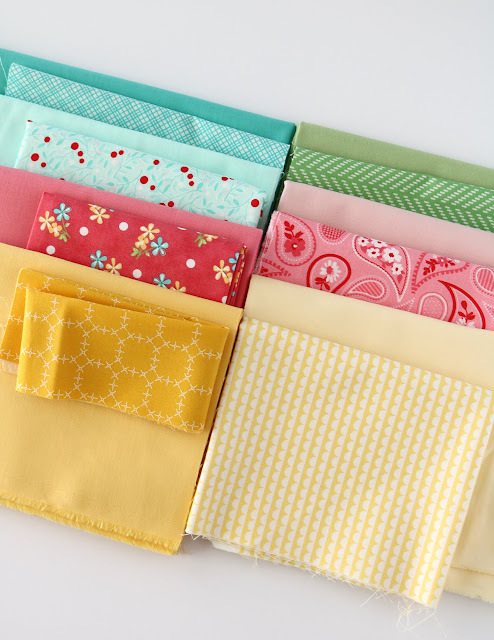 So many colors and prints to make them each block personal for the individual quilter! Thank you for sharing this quilt along with us!